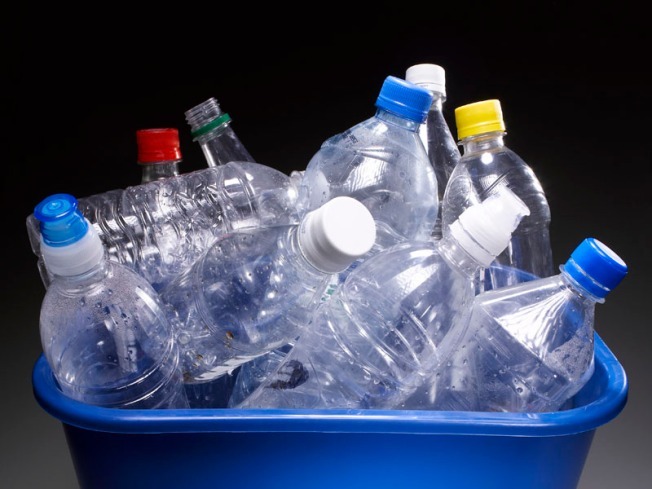 Making, shipping and recycling bottled water wastes a lot of energy. Green experts say you should avoid bottled water, and instead carry around a reusable bottle filled with tap water. Big green gestures, like placing solar panels and wind turbines on your roof, can make a big impression. But they can cost a small fortune. There are still smaller, inexpensive ways to be good to the environment. "You don’t have to go out and buy a hybrid to be green," said Yvonne Jeffery, author of "Green Living For Dummies. "It really is the small things that you can do and add to your routine that is more sustainable in the long term." Don’t trash old gadgets. Get paid to recycle them. Web sites like gazelle.com, cellforcash.com and venjuvo.com all buy back used gadgets like cell phones, cameras and iPods. Search for your gadget on the site and they’ll give you a quote. If you accept the offer, they’ll pay for shipping. If the site decides that your gadget is worthless, they’ll still pay for shipping and recycle the gadget for free. Many utility companies across the country offer free home energy audits, says Jodi Helmer author of "The Green Year: 365 Small Things You Can Do to Make a Big Difference." An energy audit is a room-by-room evaluation in your home that will tell you where you are losing energy and how you can reduce your energy costs. One example is the Energy Trust of Oregon, which does a free audit for customers of the four largest utilities in Oregon. In addition, they will also replace up to five light bulbs to more efficient ones and swap out showerheads for water saving ones, all for free. Making, shipping and recycling bottled water wastes a lot of energy. Green experts say you should avoid bottled water, and instead carry around a reusable bottle filled with tap water. Reusable plastic, aluminum or stainless steel bottles are ideal. "They take more energy to produce," said Yvonne Jeffery, author of "Green Living For Dummies," about the stainless steel bottles, "but they will last a lifetime." Try plastic bottles from CamelBak, aluminum ones from Sigg or stainless steel bottles from Klean Kanteen. The piles of catalogues stacked in your mailbox are not only annoying; they’re bad for the environment. To get your name off junk mail lists, Corrin Arasa, the founder of Project GreenHouse, an organization that educates people on living a greener lifestyle, recommends catalogchoice.org, a Web site that stops certain catalogues from being shipped to your house and ultimately ending up in the trash. Another Web site, optoutprescreen.com, specifically stops junk mail offers from credit cards and insurance companies. Helmer suggests opting to have credit card, cell phone and other bills and statements emailed rather than sent through the mail. "Bills and statements add 700,000 tons of waste a year," she said. When filling your car with gas, make sure the gas cap is closed tightly and your hear it click several times. About 147 million gallons of gas evaporates each year because of damaged, loose or missing gas caps, according to Helmer. Not only is that bad for the environment, you’ll be loosing valuable gas. Vampire power, electricity consumed by electronics that are off or in standby mode yet remain plugged in to power sources, costs Americans about $4 billion a year. Crystal Stroupe, a spokesperson at Best Buy (NYSE: BBY) (the retailer started a vampire power awareness campaign), said that the best way to avoid vampire power is to unplug all cell phone and MP3 chargers when not in use. She also recommends buying a power strip and connecting chargers and appliances to it; turn that off and you stop vampire power. Eating fruits and vegetables grown locally means eating fresher, but it also has less of a carbon footprint because the food has traveled less of a distance, requiring less energy, says Corrin Arasa. You can search for markets and restaurants that dish up local foods on localharvest.org. You can also go to the U.S. Department of Agriculture’s farmer’s market search Web site. Dryers are among the most energy-hungry appliances in your home, so even if you use green detergent in your washer, you've got some making up to do. Jeffery recommends line drying just one load of laundry a week. If you can’t hang clothes outside, pick up an indoor drying rack.